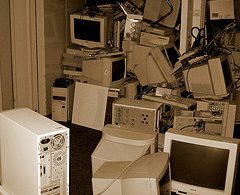 In a previous article we looked at different types of software that are required in order to automate and streamline the process of managing a call centre. It was mentioned that apart from call management/ call routing software, operational software is also required that would be used by call centre agents to capture information relating to the caller and the nature of his call. Today we will focus on a third category of call centre software and that is total work force management software (TWMS), more specifically related to time table scheduling when managing multiple agents. For very small call centers, it may be relatively easy for a manager to manually work out a time table for staff to attend to calls. But the larger the call centre is, especially if it is a 24/7 call centre, and the more complex the patterns are for call spreads, the more challenging this task becomes to manage the workforce optimally. The call centre manager has as goal to see to it that the waiting time of calls are not unreasonably long and also that cost is managed optimally. 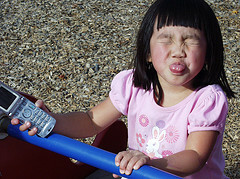 Call volumes are however often times seasonal. A manager may know from experience that a certain time of the year, or during public holidays or when there is certain weather patterns, more calls would be received. He/she may also have learned from experience that for example between 7pm and 9pm call volumes increase significantly. The manager now needs to account for all this, in order to estimate how many staff members need to be available during which times, and prepare the time-table accordingly. If he is overstaffed, it will drive up the cost of the call centre significantly with no additional benefit. 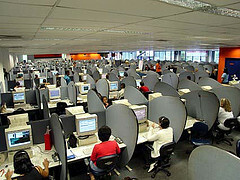 If the call centre is understaffed, quality of service will be compromised. It is also not as simple as to allocate for example more staff between 7pm and 9pm, as it would usually not be practical to ask a call centre agent to come in for only two hours and then to return home, even if they are being paid per hour and are not permanently employed. More flexibility is available with temporary workers, which may fit a rotating time table better, but quality issues are also to be considered. Apart from these trends, other human factors need to also be considered when time tables are prepared. Local labor laws for example need to be taken into account, as well as transport issues. In a country where people usually do not have their own transport and rely on public transport to get along, the times that public transport is available will also need to be considered. Finding optimal workforce management software that will suit your particular call centre is thus not an easy task, and often times for very complex scenarios and predictive analysis, the price tag does not justify the investment, and it would still be more cost effective to let the manager continue using his experience to prepare these time tables manually, even though it may take-up large portions of his time. One other option that a call centre manager can look into is to employ more software agents where possible. That however holds its own complexities and challenges and also comes with a price tag and risks. Forecasting of call volumes: Historic as well as current call data is used to identify trends and to predict the number of future call volumes. The number of human agents required as estimated are then scheduled in a way as to allow for breaks, meetings, training etc. Comparing the actual performance against the plan so that the necessary adjustments can be made.